France’s oil service company Technip handed over the Dung Quat oil refinery to PetroVietnam’s Binh Son Refining Petrochemical Company, which will manage, operate, and trade products turned out by the refinery. The handing-over ceremony was held yesterday, May 30, in the central province of Quang Ngai, putting an end to the construction that has lasted 44 months as scheduled. The refinery was designed to produce 6.5 million tons of crude oil annually, or 148,000 barrels a day. When running at full capacity, it can meet over 30 percent of the country’s demand for petrol and oil. The Dung Quat refinery project, the first of its kind in Vietnam, started in 1997 by the Vietnam National Oil and Gas Group (PetroVietnam). Two years later, a joint venture with Russia was set up to develop the project, with the capital construction rate of 50:50. In 2003, due to several reasons, cooperation with Russia ended and the project continued developing with Petrovietnam as its sole overseer. 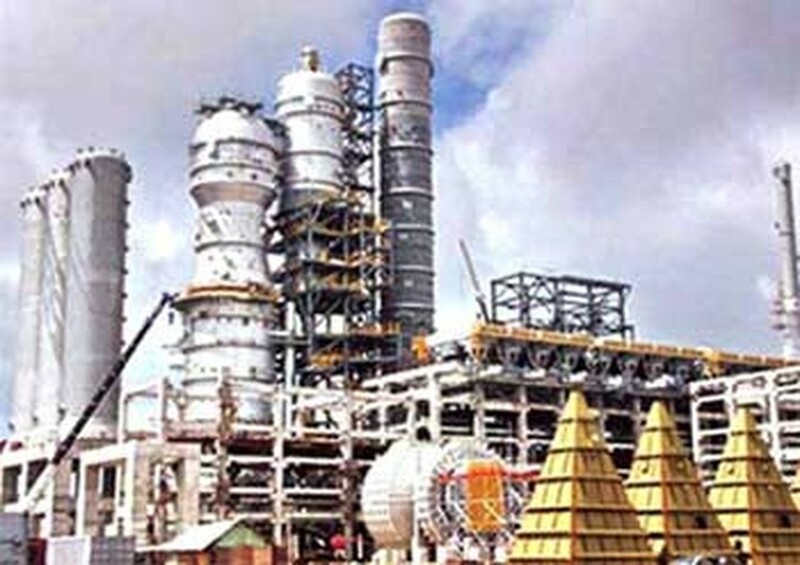 In 2005, the Government decided to increase the project’s capital to US$2.5 billion and signed a contract with contractor Technip in the turn-key form to build the refinery in 44 months. The refinery started test runs in late 2008 with a workforce of over 1,000 engineers and workers. 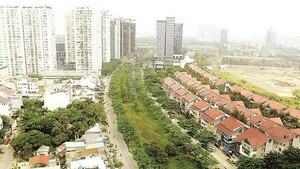 On February 22, 2009, the plant debuted Vietnam’s first locally made oil products. With more than 4 million tons of crude oil imported, the refinery by May 2010 had produced over 3.5 million tons of various products, of which more than 3.3 million tons were marketed. Seven of the plant’s products have won gold medals at a recent international trade fair, Vietnam Expo 2010. “Dung Quat refinery has been creating a great motive for local and foreign investors to build and develop many projects in the Dung Quat Economic Zone, where the refinery is located,” he said. He added that about 147 projects in such fields have been registered with a total investment of around $10 billion; of these, 113 projects worth $7.6 billion have been licensed. 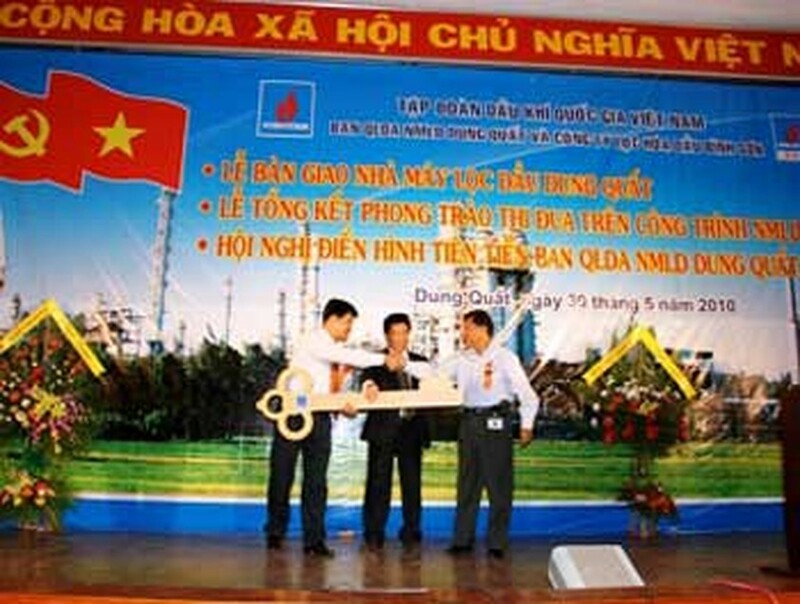 For the 2006-2008 period, the Dung Quat refinery contributed nearly 50 percent of the province’s total budget revenue. In 2009, the plant paid some VND4 trillion to the local budget. This year, the payment should soar to VND14.4 trillion.